I have just returned from a visit to Bordeaux. There is just something about this place that makes it feel like the home of wine. And while the city is indeed regarded as the capital of the wine industry, there is another intangibility to it – more than the quality of the wine, the history of the estates or the intricacies of its classifications system. It is however especially the classification structure and the modern-day adherence to an age-old system that made an impression on me again during my latest visit. Perhaps it is because we are also continuously focusing on site-specific qualities, that the Bordeaux appreciation of terroir again got my attention. Already in 1855, a need developed for a classification system among the thousands of wine producing Château in Bordeaux. The result was a list of the top red wines, called the Grand Crus Classés that consisted of 61 wines – of which 60 came from the Médoc. But what made these wines so special? Why were they of such exceptional quality? Was it that the family farms were located on the absolute best terroir of Bordeaux? Was it because the wines already enjoyed international recognition? Did the families excel at positioning their brands? Or was it because these wines were so expensive and created the perception of quality? Perhaps the above questions bring us closer to the answer as to how value can be created in the business of wine brands: A guarantee of quality and terroir combined with marketing, distribution and perception. And perhaps it is also about exclusivity. I think that is one of the Bordeaux classification system’s great successes. 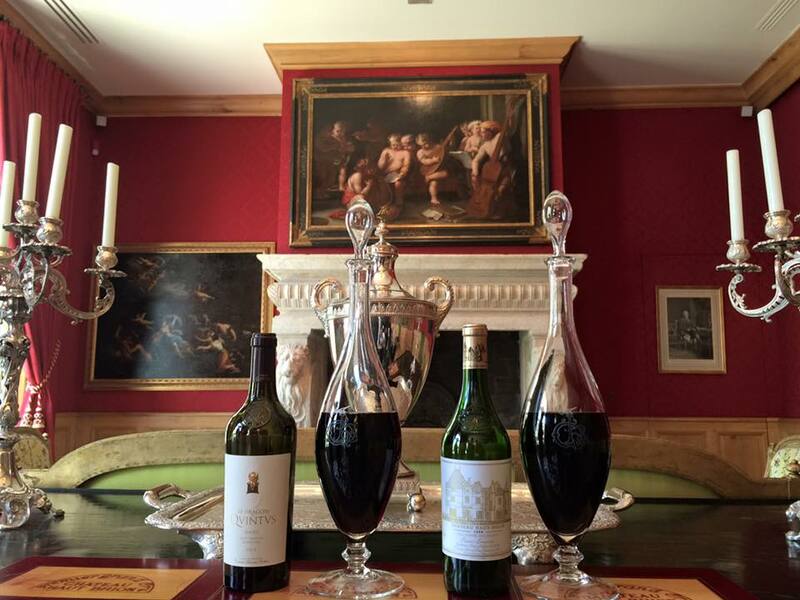 When we visited Haut Brion we were also introduced to La Mision Haut-Brion. The Dillon family acquired Château Haut-Brion in 1935 and also purchased La Mision Haut-Brion in the Graves winegrowing region in 1983. The same with the St Emilion-based Château Quintus that became part of the Dillon empire in 2011. All lovely wines, but the value of the brand in the case of Château Haut-Brion is directly related to the strict and narrow classification system recognising and differentiating it as a First Growth. Perhaps there is a lesson in it for all wine brands.